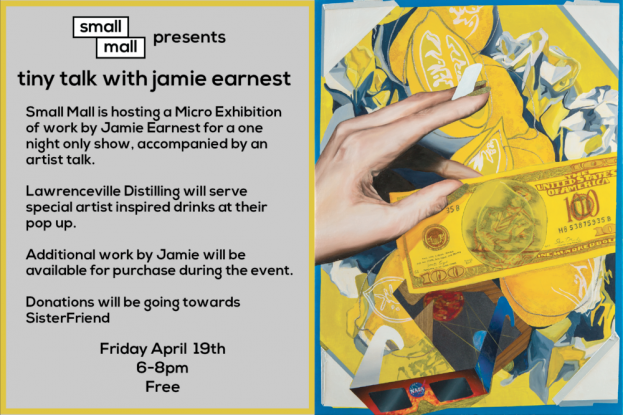 Join us as we host a Micro Exhibition of work by Jamie Earnest in a one night only show. An artist talk will accompany the exhibition. Lawrenceville Distilling will serve special artist inspired drinks at their pop-up. Additional work by Jamie will be available for purchase during the event. Donations will be benefit SisterFriend. This event is free. Please RSVP at caseydroege.com/jamietinytalk.